Here below a snapshot of our early discovery research in Alzheimer's disease. Researchers at CIP use a multi-angle approach to investigate mechanisms by which soluble amyloidogenic proteins (including: human lysozyme, alpha-synuclein and polyglutamine proteins) assemble into amyloid fibrils. The AMPA subtype of glutamatergic receptors is the main actor in the excitatory neurotransmission in the mammalian central nervous system. These receptors are involved in the expression and the maintenance of the long-term potentiation, a phenomenon closely linked to cognitive and memorization processes. Based on experimental data collected in recent years, the use of AMPA potentiators seems to be an interesting approach in the treatment of cognitive deficits (e.g. Alzheimer’s disease), schizophrenia or depression. Such AMPA signal potentiation could be mediated by positive allosteric modulators (PAMs) of the AMPA receptors, a class of compounds able to produce a fine signal tuning in the presence of the endogenous ligand in the synapse, providing less toxicity than direct agonists. With this approach, the University of Liège developed many series of AMPA potentiators, among which 1,2,4-benzothiadiazine 1,1-dioxides (BTDs). The team is currently developing BTDs positive allosteric modulator radiolabeled with a fluorin-18 atom that can potentially be used in a clinical setting. For more information, click here. Researchers at GIGA have a large expertise in the analysis of thiamine compounds. Few years ago, they have discovered a new thiamine derivative: the adenosine thiamine triphosphate. 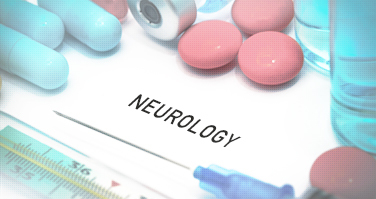 Their current research focuses on the use of thiamine and its precursors as therapeutic agents in neurodegenerative diseases due to their high bioavailability. More particularly, they aim at identifying the pharmacologically active thiamine compound and investigating its mechanisms of action. The new compounds based on disubstituted anilines, by opening potassium channels, can be used for the treatment of vasospastic disorders (i.e. subarachnoid hemorrhage and migraine), of various diseases of the central nervous system (i.e. epilepsy, ischemia and neurodegenerative diseases) as well as pain treatment. Researchers at GIGA have reported that a majority of patients with Alzheimer’s disease overexpress the Inositol trisphosphate 3-kinase B (ITPKB) in the cerebral cortex and that neuronal ITPKB protein overexpression is associated with increased cell death, enhanced astrogliosis, production of amyloid-b-peptides and amyloid plaque formation as well as with increased tau phosphorylation in an Alzheimer’s disease mouse model. In addition, they highlight that ITPKB and Ins(1,3,4,5)P4 are important regulators of Alzheimer’s disease pathology in vivo. Researchers at GIGA have developed simple mathematical models to investigate several theories of migration of neuroblasts through the rostral migratory stream proposed in the literature, including chemo-attraction, chemorepulsion, general inhibition and the presence of a migration-inducing protein. Apart from the general inhibition model, all the models were able to provide results in good qualitative correspondence with the experimental observations.